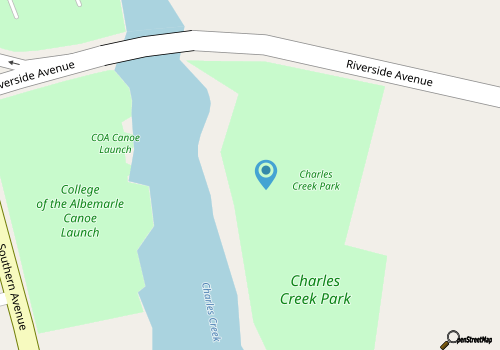 Charles Creek Park is fairly easy to access, even if you don't live in the assortment of small residential neighborhoods nearby. 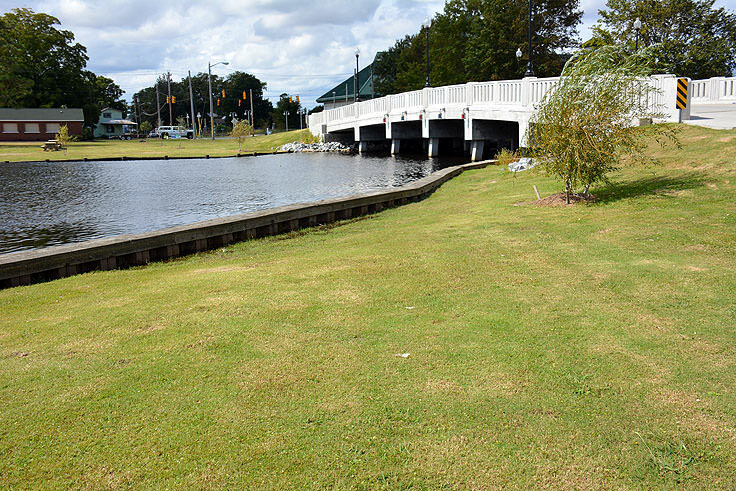 The park is located directly along Riverside Ave., just southeast of Elizabeth City's main downtown region. Bordered by clusters of homes, a small commercial marina, and the main Riverside Avenue Bridge that links this section of Elizabeth City with the heart of the downtown, the park is just a few minutes' drive at most for the majority of Elizabeth City visitors, and is located within easy walking distance of the acclaimed Museum of the Albemarle, which is located just across the bridge. There's ample parking located all along the park's entrance, and the majority of the park's amenities are located just yards away. The small 3 acre park features ample space for outdoor games, volleyball, and picnics, and also features a wide covered picnic shelter with grills, tables, and even electrical outlets for a large-scale outdoor family gathering or event. Large parties who intend on using the picnic area will want to call the Elizabeth City Recreation Department beforehand at 252-335-1424 to reserve there spot, and there is a fee of $50 for the use of the shelter, as well as a separate key deposit of $20, whichis refunded after the event. For young visitors, the park also features a small but always enjoyed playground, complete with slides, swings, and a maze of tubes and club houses. 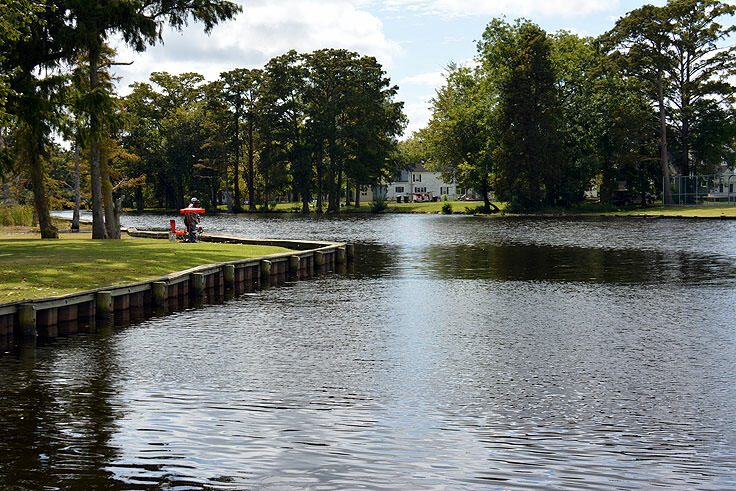 Because Charles Creek Park is located so close to the waterfront, boating and fishing are also popular activities, and anglers an easily cast off right from the docks, or launch a skiff for a wide open tour of the waterfront and the Albemarle Sound located just a couple of short miles away. The park is generally open daily, from sunrise until sunset, with no fees to park, visit and explore, Bug spray may come in handy during the summer months when the mosquitos near the river can be thick, and visitors of all seasons will be happy to discover that despite the season, Charles Creek Park stays relatively uncrowded throughout the year. 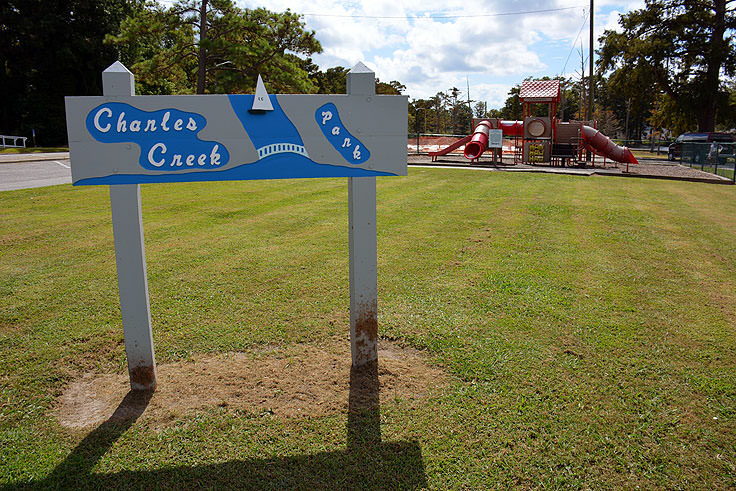 A great spot to meet and greet with local families, or just enjoy a little time outdoors stretching legs and letting the kids run wild, Charles Creek park is a conveniently located and altogether fun little park that offers a myriad of activities despite its small size. Easy to get to from virtually any point along Elizabeth City's waterfront, visitors can feel free to spend a sunny afternoon or a full day discovering all the fun ways that this accommodating city park can be easily enjoyed.